Home » Wearing History Clothing » Wearing History Clothing Updates! I want to let you in on where we are in the process! Firstly, I have good news! 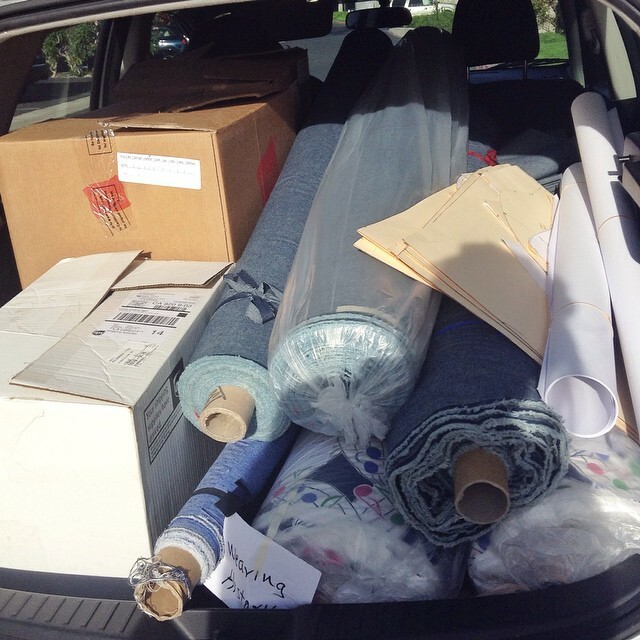 I picked up the FINISHED FABRIC for the Maisie Dress, the Norma Jean Blouse, and the Scarf/Turban today!!! 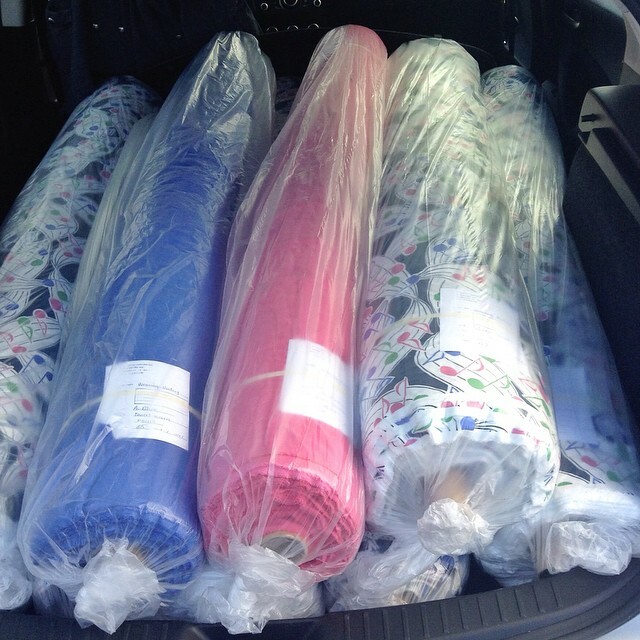 We can get in queue for those to get made now that we finally have the finished fabric in hand. I’m not quite sure as to the estimated date I’ll get them back, but I’m really hoping to get these back around the middle of next month. Thank you so much for being so patient with those garments! Secondly- we’ve gotten the first finished garments back!! HURRAH! I picked up the finished Ruthie Blouses and Victoria Dresses today! I will start shipping those this week, to people who pledged for those items alone. Let’s see… what else… I’ve been running around like a crazy lady since the Kickstarter ended, so I know there’s much more! And lastly for now, I now have tee-shirts available on my website! Even though we were over the initial kickstarter goal, we did run over budget, so these tees were created to help us get over the little road bump (which I hear is quite normal for starting something like this!). 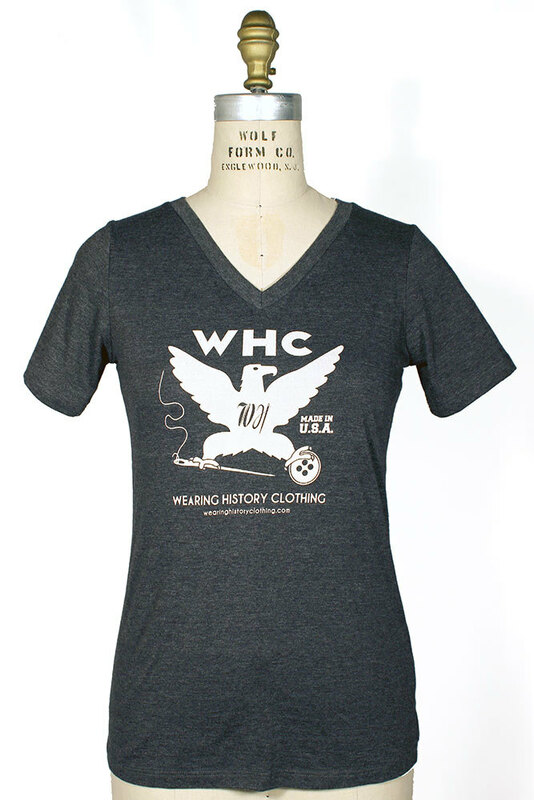 We have both the WHC Eagle, and the Wearing History Clothing palm label available. These tees were made in the USA, printed at a local indie screen printer, and use eco-friendly inks. Plus, they’re super soft and comfy and come in Women’s sizes Small-2XL. I have men’s ones, too, but haven’t had a moment to get those on the site yet. « Pre-Sale! Smooth Sailing Trousers- Now in More Waist Sizes! 2 Comments on Wearing History Clothing Updates! Wouldn’t it be great if there was a home-study Historical clothing course. Have you subscribed to Your Wardrobe Unlock’d? There’s GREAT articles on there that can help you out!